Many growers have tried and produced the many different crops that Fleurizon offers. Since some time the company has been in touch with a Greek jeweler, with roots in ancient Crete, a large island in the Mediterranean. 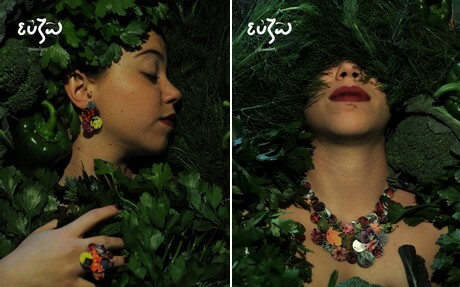 This artist develops jewelry inspired by ancient Greek culture. 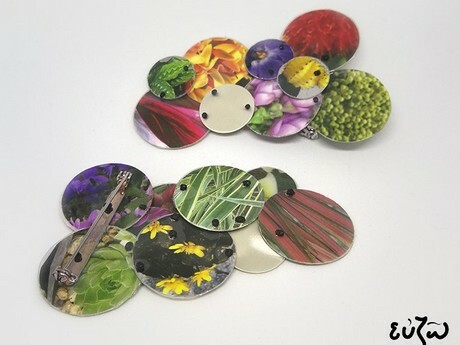 A couple of months ago she started to work on jewelry with the photos of the plants Fleurizon has in its assortment, making jewelry inspired by those pictures. 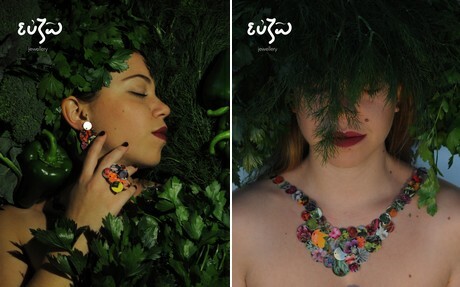 So you can wear what you grow, sell it in your exclusive garden center or give as a gift to your loved ones. Evgenia Zodiac writes about her collection: "My collection 'Everlasting Spring' is inspired by the beauty of the ancient Greek woman, combined with the Queen of flowers, the Netherlands, where I have been living the past few years. Like life itself, the 'Everlasting Spring' collection is made of consecutive circles of paper, each containing a unique flower. I experimented with paper for the first time and created colorful jewelry based on flowers that decorate and scent the air forever.